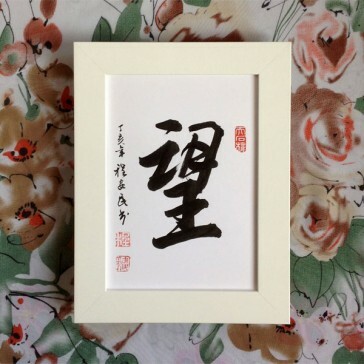 This is a handwritten Chinese brush calligraphy frame. The Chinese symbol means “expect”, “hope”, or “look towards”. Dated and stamped by the calligrapher.